Every restaurant owner knows how much a good website can mean for your business. If you want to see your restaurant filled with new guests, you need to get yourself a website and present your place properly on the internet, because this is where the advertising magic happens. 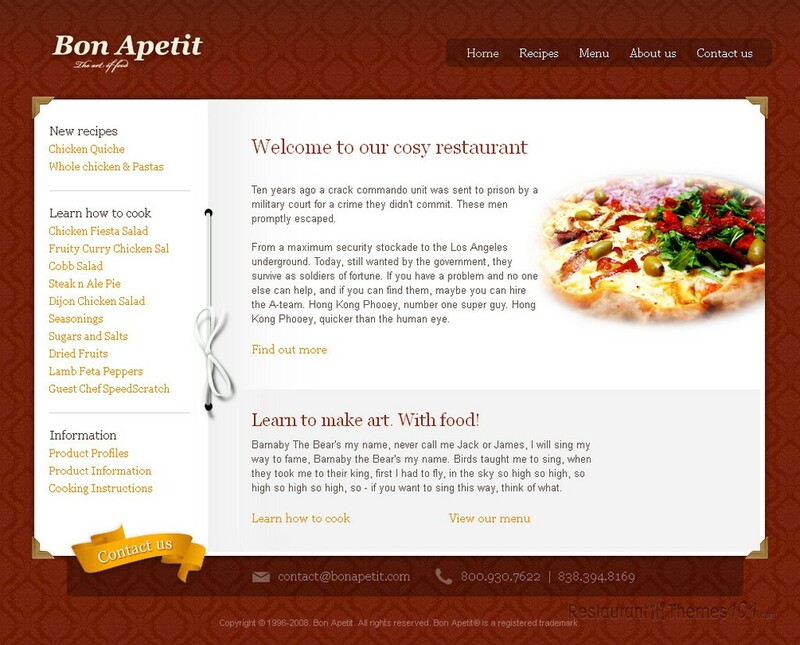 Bon Apetit is a restaurant HTML template developed by Themefuse and featured at ThemeForest. It can be used as a perfectly good HTML coffee shop template because it is very adjustable. The layout of this template is very pretty and compact. There are 2 different backgrounds you can choose from, and they both look very nice. The set of colors is carefully chosen and it looks great, but if you want to change them there is a style guide Photoshop file that includes guidelines for colors, fonts and image decorations. The template is very easy to customize and with the help of these files you will be able to do it all by yourself. The main menu of the theme has 5 sections: home, recipes, menu, about us, and contact. If you want to add recipes of your delicacies, you will be able to do so along with photos and details about the preparation in the recipes section. 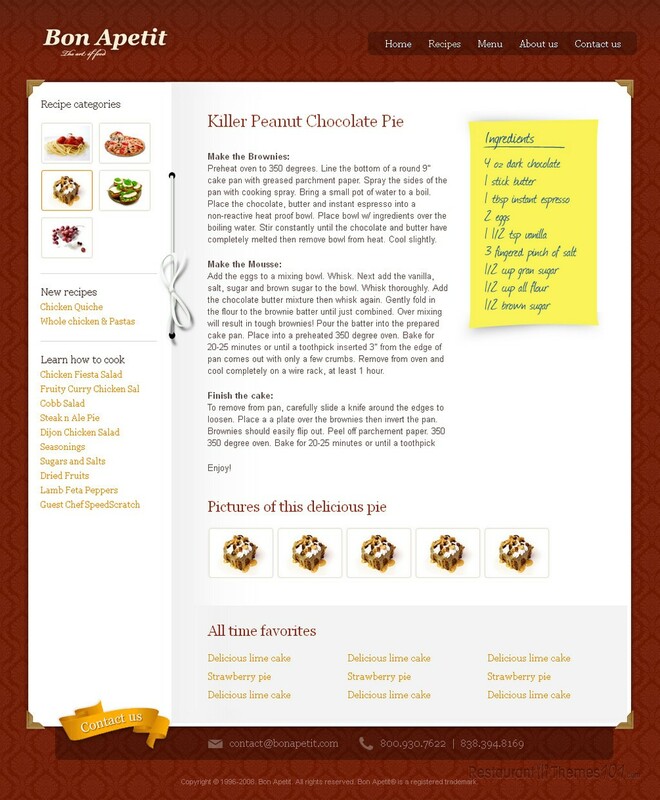 The menu section is very clear and easy to navigate, just like the whole template. 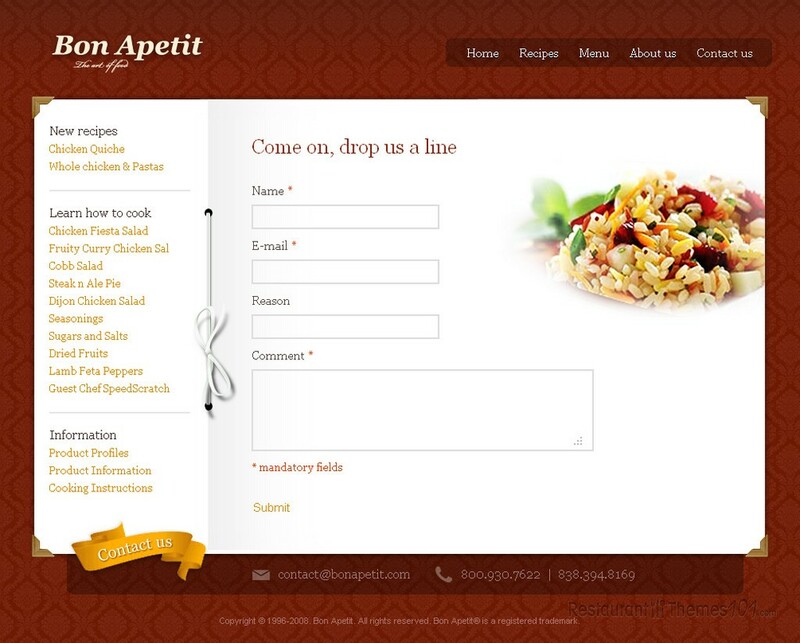 It is very user friendly and you will be able to easily create a nice looking menu for your visitors. You can add photos of your delicious meals as well. The “about us” section is reserved for you to properly introduce your visitors to any aspect of your restaurant you find fitting. Tell them all about your restaurant’s history and show them photos the pleasant ambient your restaurant offers. The contact section contains a very nice and simple contact form your visitors can use to send you messages in an instant. 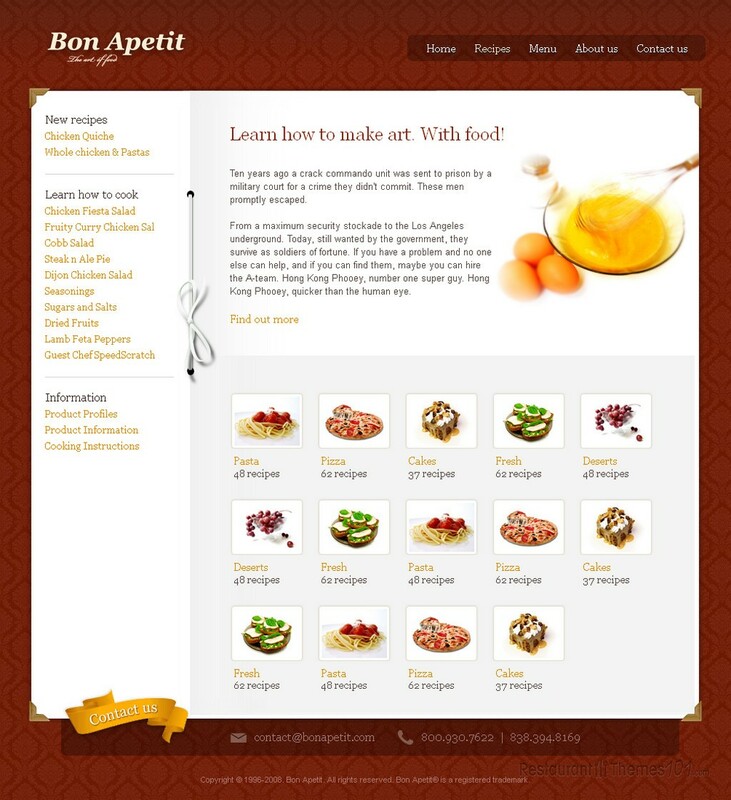 Bon Apetit looks great and it has enough documentation provided for easy customization and setup.